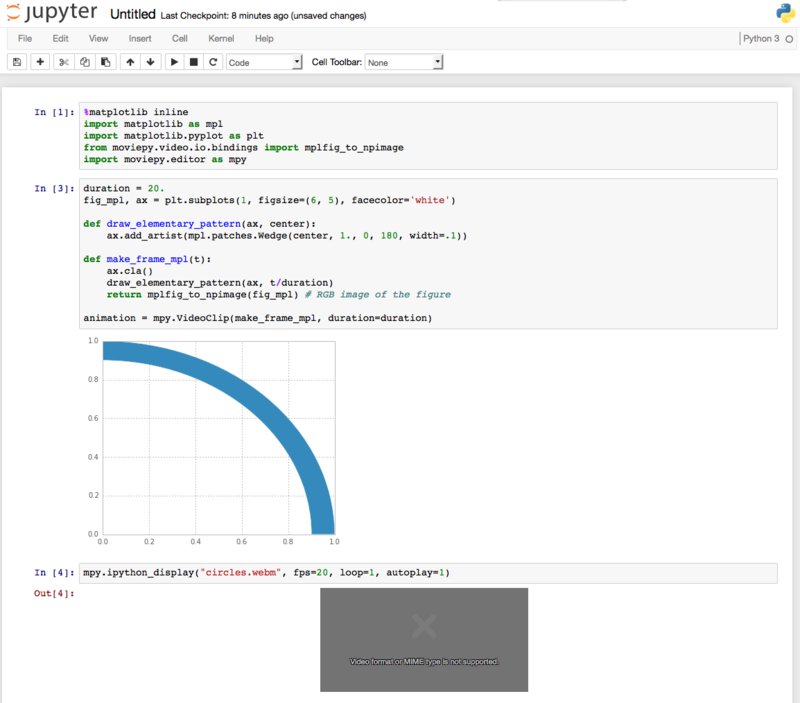 I was recently trying to embed a clip in a jupyter notebook using https://github.com/Zulko/moviepy, somthing that was working smoothly with python 2.7. After switching to python 3, this was not working anymore and left me scratcthing my head for a solution. Let's try to solve this step by step. But this video plays fine in my browser (Firefox on a Mac), so something must be wrong in the embedding. git commit -am"fix to work with python3"